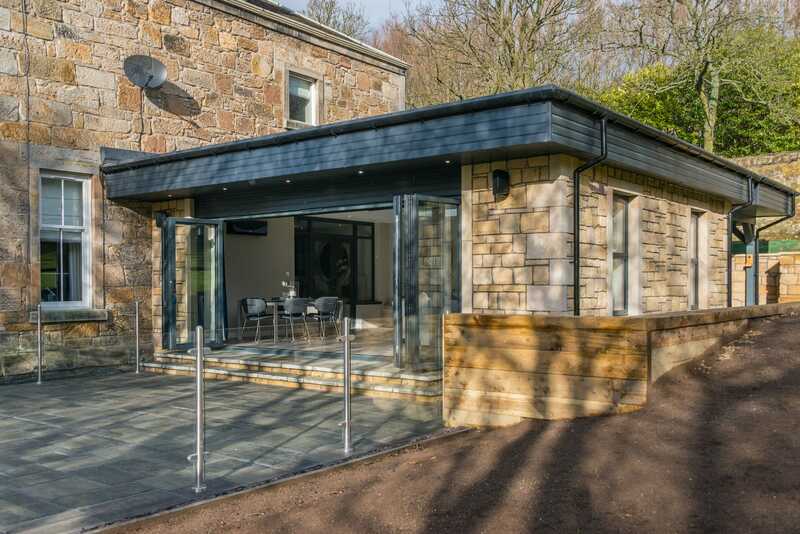 We install orangeries and sunrooms in homes across Dunfermline, Edinburgh, Stirling, Perth, Dundee, Fife, Rosyth, Glasgow and surrounding areas. Drawing upon the heart of a classic design, sunrooms are the ideal option for homeowners looking to enjoy all the charm of a traditional look in a modern way. You’ll be able to bring these values to your home without the outdated problems of older designs. Market-leading modifications such as the Ultrasky roof and high-quality bi-fold doors combine to bring a bright and spacious feel to your orangery, with full height windows completing the feel and breathing new life into any home that they are installed into. All the orangeries and sunrooms that we offer are supported by an innovative structural goalpost, which supports doors spans up to 6.5m. This means that you’ll be able to bring industry-leading quality to your home with complete peace of mind. Further to this, they are built using NASA satellite data to determine the wind and snow loads of your post-code area. You’ll be able to enjoy the peace of mind that comes with the knowledge that your new home improvement solution has been tailored to you. To achieve a base level of impressive thermal efficiency, SRJ orangeries are fitted with super insulated columns, an insulated internal pelmet and high-performance glazing. This means that they offer heightened heat retention, keeping the warmth from your central heating in your home for a longer period of time to extend your comfort. As the UK’s strongest glazed roof, the Ultrasky roof is the ideal way to natural light flood into your home without compromising home safety. This is made possible through a strong, thermally insulated ridge that works to minimise the number of bars needed to support the glass. You’ll be able to enjoy a sleek and modern addition to your home. Our expert teams are able to offer you the bespoke approach, effortlessly bringing a personal touch to your home. With this, you’ll be able to offer a range of roof options, including double hipped Georgian with boxgutter, Georgian or fixed 25° pitch. If you’re unsure which one is best for your home, a member of our friendly team will be on hand to help. To help you bring something personal to your home, we can fit our orangeries in a range of colours. This includes White, Grey or Black. These modern colours allow you to bring a contemporary flair to your home. To ensure a lasting and rich colour, all of the colours that we offer are applied with a highly durable powder coating which prevents them from flaking or peeling. Our orangeries are accompanied by a comprehensive 10-year guarantee, offering you the peace of mind that comes with a better standard of quality. In the unlikely event that your orangery has any problems, we’ll be on hand to ensure that they are sorted as quickly as possible so you can get back to enjoying higher quality. This orangery design allows us to cut down on overall installation time, which works to bring an industry-leading home improvement solution to your home sooner and easier. This is made possible by avoiding any planning permission and building regulation processes, which can often be stressful and costly! With our approach, we’ll make it as easy as possible for you. Modern orangeries offer the best of both worlds. You can experience the classic charm of the traditional design while benefiting from the advantages of modern construction. With super-insulated columns offering maximum comfort and bi-fold or sliding doors allowing for expansive views, it’s no wonder that these products are so popular with local homeowners. With solid brick pillars, a performance glass roof and a decorative cornice adding a distinctive flair to your home, traditional orangeries are the way to go. These amazing products utilise an insulated internal pelmet for added thermal efficiency, which keeps your new extension warm throughout the winter months, and the homely nature of these products makes them great for relaxing in. If natural light is what you’re after, then you can’t go wrong with SRJ’s lantern roof collection. These beautiful designs allow light to flood into your home via a lantern roof light and are usually designed to the specifications of the Ultrasky lantern which promises an elegant 25° pitch. These rooms make great dining or cooking spaces, and benefit from the space allowed by an orangery! 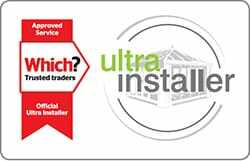 Get in touch with us via our online quoting engine to speak to a member of our team about our competitive orangery prices. You can also contact us if you have any questions or come and visit our Fife showroom to see one of our beautiful products for yourself. A member of our friendly team will be more than happy to show you why the orangery is the perfect option for your home!